...the correct response is "Yes, Princess". Ask the GMs Anything Round 3 is up! Entries for Players are open! i've been working on my application! its been hella long since i did 4e l5r and this is a HELLA INTENSE application. i haven't been this nervous about an application since college. According to the organizer, Spider is currently the most popular choice. We truly are passionate, even as we endure this time of darkness. I think a reason we might be the most popular of choices is the simple fact that we are Persona Non Grata in basically EVERY OTHER L5R RPG forum out there. Even in Heroes of Rokugan... "We added the Spider Clan for this year long campaign about unlimited possibilities, and made them bad guys!" But, you know what? They at least let us play Spider Clan samurai. Which is more than anyone else out there. I say, having applied to WC5 as a Dragon. Because I guessed that Spider would be popular, and I wanted to make things easier for the staff. i'm applying for spider, and hoping my reputation as a longwinded spider partisan works in my favor to get me in a spider door. We are now receiving confirmation and guess who has two thumbs and just got an Onyx Empire character? Destiny is a cruel mistress to me, however having argued and discussed with so many other forum members, I think I have a clue what the Greatest Clan crew wants from this - I mean, not like they care. This WC is more about having fun and representing your clan than actual story prizes and so on and so forth. Still, it would be bad form for me to not step up to the challenge and create a character for something I argued against. I will take all the feedback we received and play my role as the Onyxiest Spider Samurai you can get. I will show you scum who grovel for the scraps of Jigoku what real strength is. Actually about that, I do have a powerplay in mind for this court that consists in giving the Emerald Spider support while going for Onyx Empire objectives. Since the Emerald Spider are essentially an "Assurance" for the Onyx Empire if things go sour/the only freaking clan that understands Daigotsu Kanpeki. This will be quite the Hedgehog dilemma though. i agonized real hard about it, but in the end i declined to submit. i've got a 3 month old and a 60 hour a week job. it seemed like i was likely to end up tapering off. hopefully there will be lively debate here and i can contribute in my own way here. Most amusingly I got accepted as a Emerald Spider! Trying to decide if I'm gonna make a student of Kageto or a relative thats a courtier. That is pretty freaking cool! I've got that Onix feeling these days! I finally get to be among my own! Cant wait! I'll be assembling the Spider players and we will probably get a thread started for both Emerald and Onix spiders for character ideas and a QnA possibly about how evil we can go and what exactly our limitations are... because we can get a little nuts quickly. There are a lot of variables, story aspects, squad goals, and all that other stuff that we will need to go over. Suffice to say, I'm very excited. Now that I think of it... I should ask Shingen for some private threads for the Onix and Emerald Spiders respectively so we can plan without the other being aware, as this IS the Spider forum after all... and it would be nice to see it put to use during these months! Sweeeeet! You get to expand upon the family you made! Have fun with it! Of course bud! Life is always a crazy factor but when we get developing I would love your input! Yeah, a lot of the dynamics between the Spider and the lesser will need to be something that is better explained. How hostile are we supposed to be, have we infiltrating them already, are they an enemy to simply be destroyed, are they ideological traitors or cowards, are they puppets or mere pawns, are they even worth our notice? These questions are going to need to be fleshed out. I already have ideas to go in any direction but I will have to see exactly where this is taking us. Maybe our local Spider GM can swing by later for that. Don't worry mate, the best part about the Onix Spider is the potential for vary different goals individually. Some of my concept brews for characters have VERY interesting goals outside of the simple conquest of Rokugan and eatin babies and what not. Kendo already takes the role as the inevitable conqueror, so not every Spider needs to be that kind of character. I believe Spider will probably be the "do what you want, except this" clan where, besides our own direct objective we will be free to cause our own dramas and problems for other PCs... probably with the idea that betraying the direct object will probably get Kendo's sword on your neck. The Emerald Spiders NEEDED someone with your moxy to be among their numbers, I was afraid it would have been too easy otherwise. I cant wait for what you got in store for us. So what you are saying is that we can just look for the Emerald Spider complaining the most about the Mantis, and we'll know it's you. So what you are saying is that we can just look for the Emerald Spider [s]complaining[/s] killing the most [s]about the[/s] Mantis, and we'll know it's you. Also, look for any reference to "The Taisho Heresy," 'cause I have unfinished business with the Phoenix. Kokojin Family here I go! I'm creating a monk character, an "advocate for hell" type of deal. The base idea is for him to follow the dark fortune Kyoso as well Benten, creating his own twisted version of "Love". 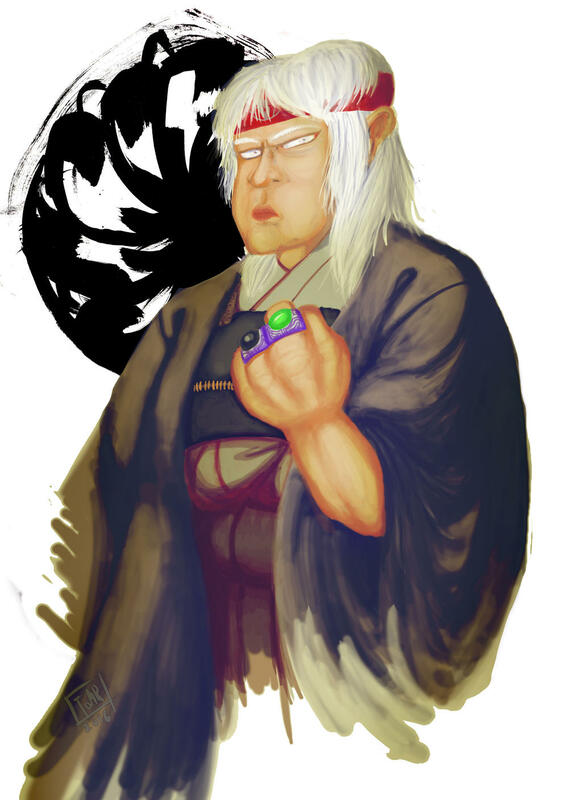 He would be the Onyx delegation Nakodo, however, his unholy matrimony would be an offer he would be willing to give all Samurai in court wishing to live together, breaking their vows in search of "love". The "Blessing of Daigotsu" 8 point advantage would allow him to bless willing targets with the blessing, so part of the ceremony would involve passing of the blessing as well. I would need some help but with the right rumors about a miraculous monk that can "Free you and your partner to be together under the moon" at the right places could draw some possible candidates that wish to marry for "love" or lust in the court, while spreading the blessing around. Yes, I am a Emerald Spider player in my heart, so subverting the Empire by less violent manners is how I operate. However, I still think this can work as an Onyx-type character. I'm setting up a Las Vegas chapel in this year's Winter Court. Sounds sweet. I'm thinking a Gyushi trained courtier from the Susumu path of Daigotsu courtier that crafts armor to not only keep connecting with his dad/uncle/random relation to Kageto but when a couriter is useless a armor repair guy comes in super handy. Shourido & serving two masters by serving the soft path (talking) and hard path (war). Gonna put forth a bit of fiction to see if I can sell the Touched by Meido since thats Emma-O's realm and super thematic. Goodness.... that's going to be awesome! Plus we can make sure we have a killer dueler in our ranks! Mad monks are great afterall! I'm brewing a true blue Daigotsu family Lord of Obsidian. A real powerhouse within the obsidian empire, but I'm still figuring out directions I intend to go. I'm thinking one of Kanpeki's most favored priests of the Cult Arachne, a founder of the new order of the Onyx empire, so a man more drawn to powerful words, religious significance, and influence over just killing people, that's what we have Kendo for after all. But I'll need to brew his backstory and the nature of the Onix empire itself. I'm still waiting to hear how detailed the empire is according to the GMs, or if we can kind of develop the details of the obsidian society ourselves. The other idea is a Priest of Shahai, but that depends greatly on how restricted maho magic is for the Spider. 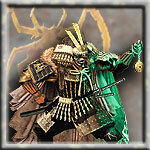 I have a bunch of ideas as to how to make this guy... plus I'm looking for a faction to be a nemesis with possibly. If I'm going to be a villain I fully intent to cause some fun drama. But 90% of my concepts are reliant on what is actually allowed and what the clan goals seem to be for us. YEAH, Cant wait to see what you craft! Its going to be so cool! For the record, the staff has drafted a Gyushi Shugenja and a Kokujin Monk School (with 5 unique tattoos!). Inquire after the WC5 forum opens if you are interested. Well then. I shall await that to 'finalize' any plans. Free Raise for any spell with the Craft keyword. Because I'm getting some tattoos! And woah an unique school? That's too awesome.